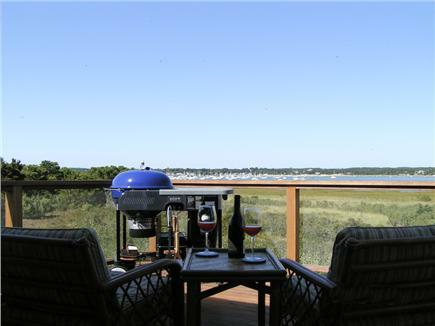 Stunning views of Chipman's Cove and Wellfleet Pier from this double-decked 'upside down' house with outstanding amenities. 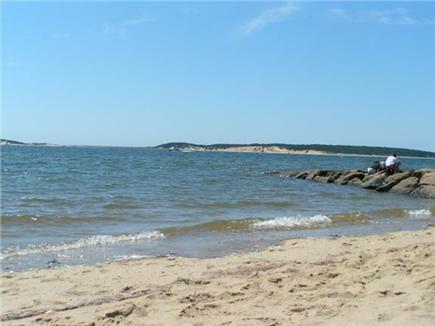 Abutting land in the Wellfleet Conservation Trust, you can take a path (.1 mile) to nearby Burton Baker Beach or walk .5 miles to Indian Neck. 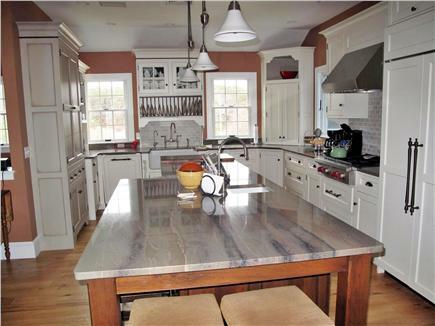 This upscale home has living areas on both levels, a great open kitchen featuring granite-top island, butcher block, sub-zero refrigerator, double ovens and Wolfe gas cooktop. Everything for the gourmet chef. 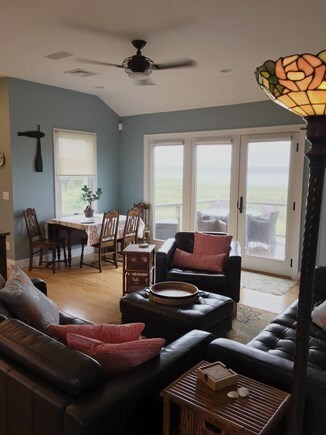 Then relax watching one of two large flat-screen TVs,or listen to music streaming throughout the house with outdoor speakers on both deck levels. 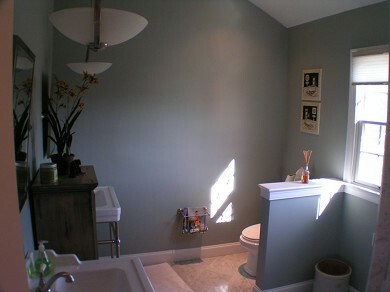 Master bath features walk-in marble shower, and sinks for both. 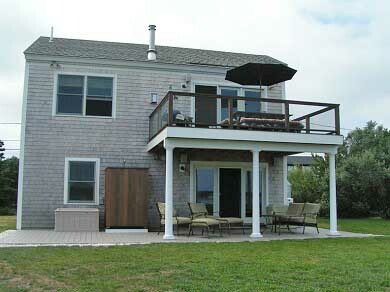 Deck on both levels ~ outdoor Furniture ~outdoor shower (private/hot water) ~ charcoal grill. $1000.00 damage deposit required, fully refundable. 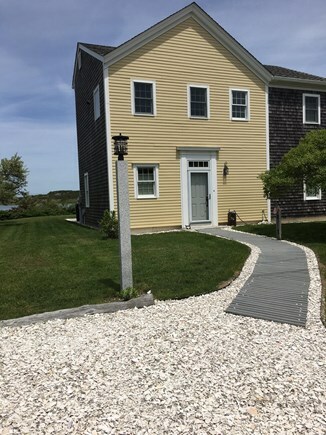 We have been renting in the Indian Neck area of Wellfleet for 14 years and this is by far our favorite home. Clean, organized, air-conditioned (a requirement as I get older!) and a view that can't be beat. Few homes supply such a wonderful combination and I'm glad we found this one! Beautiful home, inside and out. Loved arrival - so sad to leave. Many thanks to our wonderful hosts! Hope to return in 2018. What an amazing house and location! Our family had the most relaxing week on The Cape yet. We have been coming to Wellfleet for years, but had never experienced this area before. 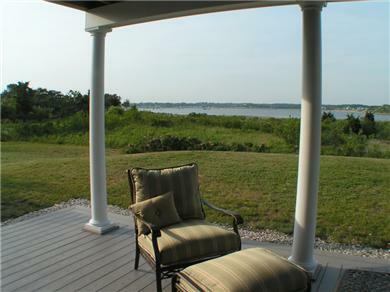 Wonderfully appointed home with great views of the bay. Would definitely rent here again. 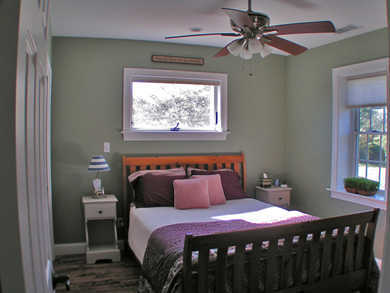 Welcome to the Perfect Wellfleet Vacation House! This is a meticulous premier property with high-end finishes, a fabulous layout/flow, and a stunning view of the ever-changing sky and waters of Chipman's Cove. It is simply ideal for all manner of guests - from the solo traveler, to just one couple, to two or three couples, to two or more singles, to families, and anything in between. 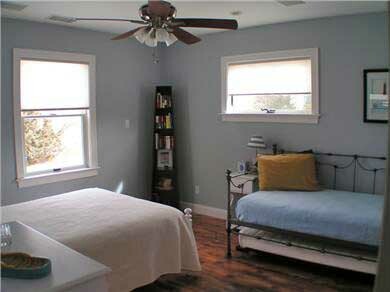 And the décor is so tasteful with artful accessories and peaceful room colors. With two separate living-area floors both inside and out AND a centrally located gourmet kitchen where all can meet up, you just can't go wrong here. 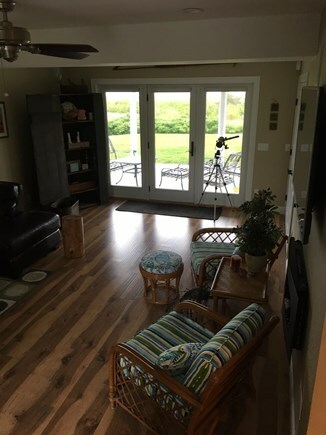 The neighboring properties and owners are all lovely, and the location is truly ideal for walking, biking, beaching, and sunsets - not to mention just sitting all day (in lots of extremely comfortable porch/patio furniture) and enjoying the changing colors of the entire landscape. I can't recommend this property highly enough. I've vacationed in Wellfleet for 20 years in all different properties in all different locations, and this one is hands-down my favorite. We just returned from a one week vacation and wish we were still there. 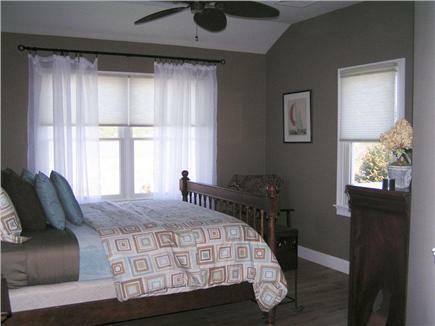 The property and grounds are well maintained, comfortable and tastefully decorated. There was plenty of room for 2 families of 4, with space for the kids to spread out. 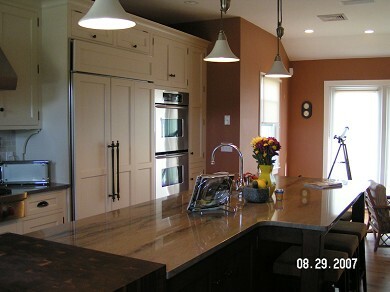 The kitchen is fantastic and quickly became our favorite part of the home - after the upper deck with the stunning view. 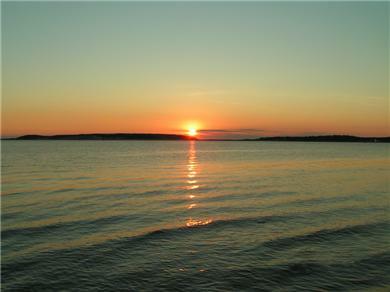 The bay side beach is a short walk away - a great place to watch the sunset. Julie and Lori - We so enjoyed your lovely home! The view over the marsh to the water and boats was just wonderful. The location is great - our son (5) was able to ride his scooter easily to Indian Neck. The house was even nicer than pictured -- and very clean and well-maintained. Thanks for sharing it with us.